‘The Soldier’ by Brooke is an instantly recognisable poem. It is one of a collection of sonnets written early in the war, collected under the title of 1914 & Other Poems. These achieved popular acclaim after The Times Literary Supplement printed two in full in the spring of 1915, ‘IV: The Dead’ and ‘V: The Soldier.’ The latter was subsequently read from the pulpit of St. Paul’s Cathedral on Easter Sunday. 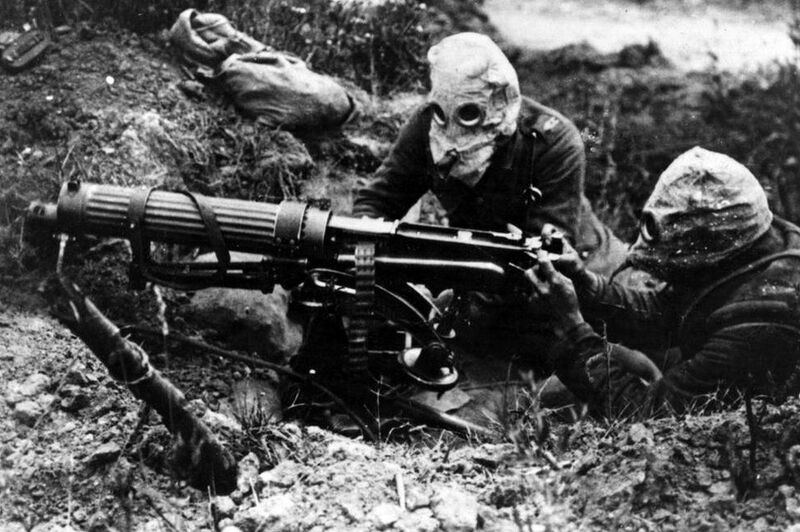 These poems were composed before the poet reached the Front and had an opportunity to witness the horror of industrial warfare. The language is romantic, in the literary sense of the term, idealistic and patriotic, with much repetition of ‘England.’ Death is presented as romantic and heroic in opening three lines, and perhaps not so bad in the end, as the soldier lies ‘under an English heaven.’ Brooke was commissioned in the Royal Naval Volunteer Reserve. He sailed with the British Mediterranean Expeditionary Force in February, 1915, but died of blood poisoning on April 23 after a mosquito bite became infected. He was twenty-seven. This was written in hospital in France in Summer 1916 after Sassoon was shot during the Battle of the Somme. It was, however, rejected for publication in the traditional English literary journals. Like Brooke, Sassoon was an intellectual (both had gone to Cambridge), but unlike Brooke he had been at the sharp end, as a second lieutenant in the Royal Welch Fusiliers. This is a very different representation of a soldier’s death to the one imagined by Brooke. Relatives gather round the bed, but ‘You may save him yet’ is merely a false hope. ‘He’s young’ is emphasized, and ‘He hated war,’ but he will still die ‘When cruel old campaigners win safe through.’ This is directed at the politicians, generals and profiteers who Sassoon believed were incompetently running the war and unnecessarily prolonging it. ‘But death replied: “I choose him.” So he went’ is an incredible piece of writing: here, death is random, arbitrary, pointless. The death leaves a silence in the safe English night, but in the distance we still hear the guns (at its closest point, England is only twenty-odd miles from France), reminding us that this scene will be endlessly repeated until all the young men are dead. ‘To The Warmongers’ returns to the theme of the people of the so-called ‘Home Front,’ whom Sassoon by this point despised for tolerating such carnage so patriotically and unquestioningly. 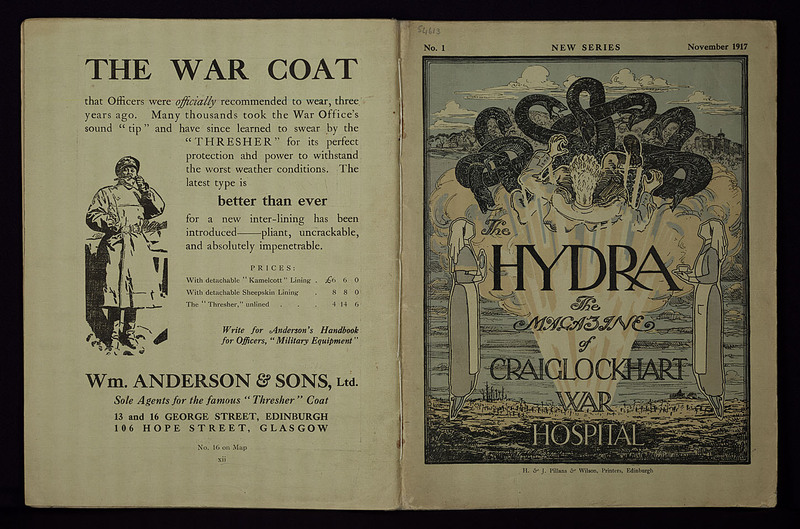 It was written while he was convalescing at Denmark Hill Hospital, but considered too angry and uncomfortable for inclusion in his collection Counter-Attack and Other Poems (published by Heinemann in 1918). It is written in the manner of an Old Testament prophet, signalled by the opening line’s reference to hell – the image being I have returned from a dreadful place carrying a message that must be told (‘With loathsome thoughts to sell’). What follows is a list of horrors. 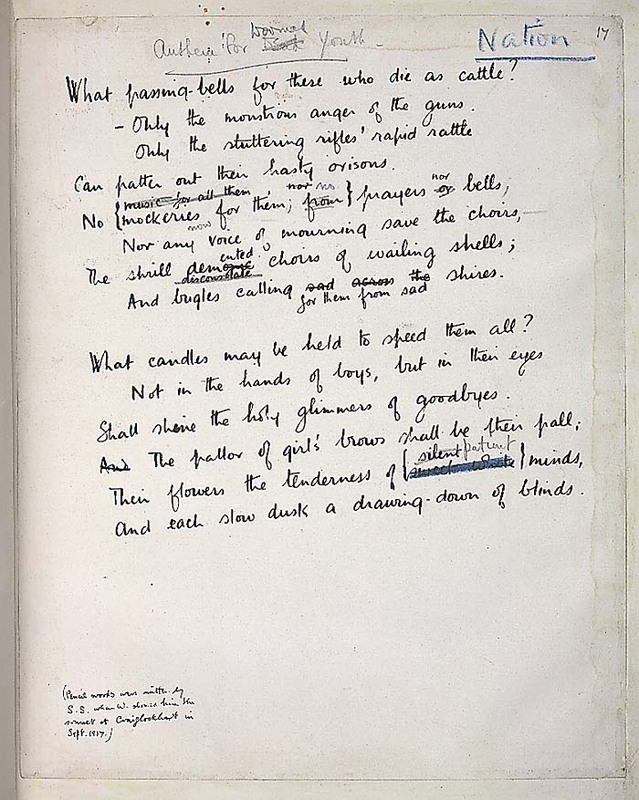 He addresses the reader directly on line 7: ‘You shall hear things like this,’ and again on lines 13 to 16, presupposing (probably correctly) that a domestic reader sees pride and glory in the war, as in the manner of Brooke’s poem ‘The Soldier,’ and anticipating the sentiment of Wilfred Owen’s ‘Dulce Et Decorum Est,’ which Sassoon’s inspired and encouraged. But the poet’s vision is different to nationalist, militaristic orthodoxy as can be seen from the final four lines: he has a ‘curse’ which ‘shall not be unsaid’ (he is compelled to speak even though he does not want the experience or responsibility); his heart is wounded, probably permanently; and, most importantly, his testimony is that of an authentic witness because ‘I have watched them die.’ This is a very angry poem from a very tormented soul. I am making this statement as an act of wilful defiance of military authority because I believe that the war is being deliberately prolonged by those who have the power to end it. I am a soldier, convinced that I am acting on behalf of soldiers. I believe that the war upon which I entered as a war of defence and liberation has now become a war of aggression and conquest. I believe that the purposes for which I and my fellow soldiers entered upon this war should have been so clearly stated as to have made it impossible to change them and that had this been done the objects which actuated us would now be attainable by negotiation. Technically, this was desertion and could be tried by a military court. In peacetime, a deserter could expect a long sentence in military prison. In wartime, the punishment was execution by firing squad. Sassoon was well aware of this. The statement ‘I am a soldier’ emphasises his right to speak from experience (he is not a left-wing academic sitting in a comfortable office); as with his poems, he is an eye-witness. Germany had invaded Belgium and France, allies of Britain, while there was a quite justifiable fear of German invasion. So Sassoon had volunteered to defend his country and to free her allies. But, he argues, Britain is now as much an invader as Germany, and is hoping to expand her empire by seizing Germany and her colonies. This is a moral argument: a war of defence is just and unavoidable, a war of conquest is not. Sassoon is talking about ‘War Aims.’ These are similar to United Nations Security Council Resolutions. British war aims should have quite clearly been: Liberate Belgium and France, stop the threat of German invasion. If the government stated these aims clearly then they could not exceed them. This is why America could not invade Iraq after the Gulf War; the UN war aims were to liberate Kuwait not conquer Iraq. Sassoon believes that at time of writing (July 1917), the objectives of freeing France and Belgium and rendering Germany incapable of invading Britain could be achieved by diplomacy. His point was that soldiers were either dying for the wrong reason or for no reason at all. ‘I am not protesting against the conduct of the war’ elegantly reaffirms his main point. He is not objecting to the appalling conditions on the battlefields; his inference is he would still fight in hell if the cause was morally justified. He is also saying, I think, I am not a coward. He then finishes with a flourish, also adding a theme which is again familiar from his poems. This is an attack on domestic civilians, not just politicians and old generals. To Sassoon, they are either too hard-hearted, self-interested or stupid to understand and, by implication, this ignorance perpetuates the war as no-one protests. He signs himself ‘S. Sassoon’ because his Christian name is German, although he was not of German extraction. (His mother was an opera buff and he was named for Wagner’s hero.) He was well aware how unpopular his opinion would be, and all through this declaration he is anticipating criticism and trying to counter the obvious accusations that will be used to undermine his argument. As we’ve seen in the recent EU Referendum debate, opponents frequently try to discredit those with whom they disagree, rather than entering into serious discussion, especially during a national crisis. A man with a German name would be called a spy, while he was also labelled, in some quarters, a traitor, a coward, and a lunatic. As a high profile conscientious objector, Sassoon, was a problem for the War office. He was already a renowned poet and publically known as a war hero. He was set on the path of suicidal martyrdom, but the War Office erred on the side of caution in an attempt to prevent a political crisis. Sassoon was encouraged to withdraw his statement, but like a good soldier he dug in. He refused to attend a medical board until his close friend and fellow intellectual, Robert Graves, persuaded him that he would never be court martialled, but instead that it was either the medical board or an asylum. This period is covered in Sassoon’s work of creative non-fiction, Memoirs of an Infantry Officer (1930), the second volume of the Complete Memoirs of George Sherston trilogy, and in Graves’ autobiography, Goodbye to All That (1929). Sassoon later felt that Graves has deceived him, and their friendship never recovered. 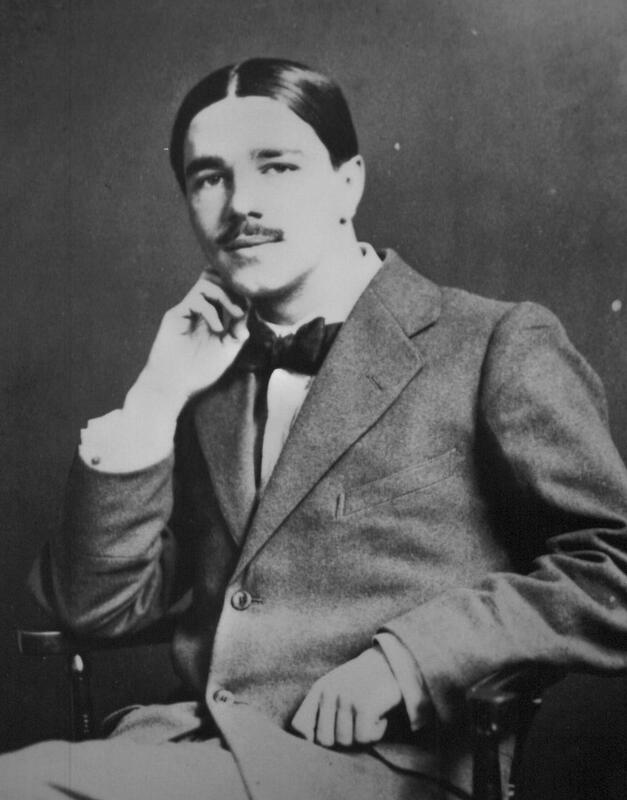 Graves was sent to the Craiglockhart War Hospital near Edinburgh, his rebellion spun by the War office as ‘shell shock.’ Here he met Wilfred Owen, who edited a hospital magazine called The Hydra to which Sassoon contributed several poems, and was treated by the Freudian psychologist and academic, Dr. William Rivers. This complex dynamic and its consequences is covered in the beautiful historical novel, Regeneration by Pat Barker (1991). This poem was originally entitled ‘Death’s Brotherhood.’ It was first published in the English Review in January 1918. ‘Sick Leave’ was the seventh poem written during Sassoon’s time at Craiglockhart, and another thirteen would follow before his discharge at the end of November, 1917. ‘Sick Leave’ is particularly haunting. The poem dramatizes Sassoon’s inner conflict between his pacifism and his loyalty to his fellow soldiers. He is also relieved to be safe and alive, while suffering from what is nowadays referred to as ‘survivor’s guilt.’ It is a gothic poem. He sees, or imagines that he sees – he is almost certainly shell-shocked by this point – the ghosts of dead comrades around his bed. They have searched for him in France, but not found him on the Line. Safety is suddenly ‘bitter,’ and he awakes ‘unfriended’ – his friends are dead and their ghosts reject him for his escape, which he views as a dereliction of duty. 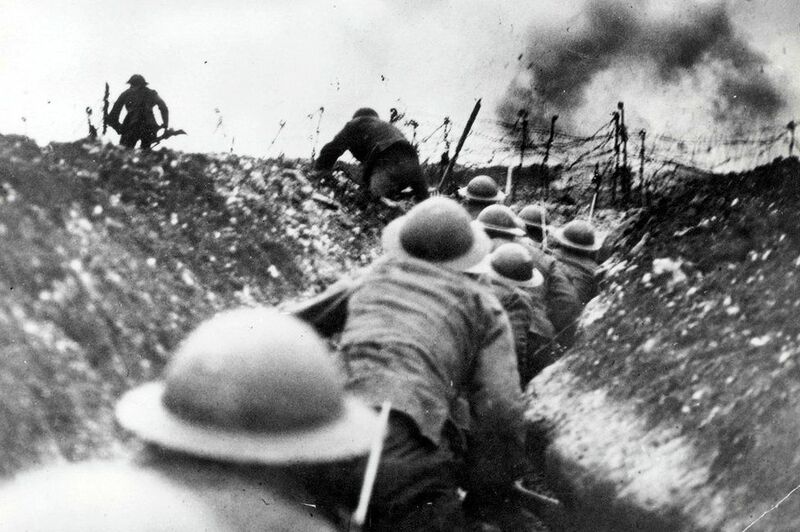 As he realizes it is raining, his thoughts travel to his men, cold and wet in the trenches. When are you going back? the ghosts seem to ask. ‘Are they not still your brothers through our blood’ suggests that their deaths mean nothing unless they somehow bond and sustain those still alive and fighting, not for King and Country but for their lives. Although officered Home Service (a safe desk job) during this period, Sassoon voluntarily returned to the front and was shot in the head shortly afterwards. Why are you here with all your watches ended? From Ypres to Frise we sought you in the Line. Are they not still your brothers through our blood? Like the poem ‘Base Details,’ in which old majors read the Roll of Honour before they ‘toddle safely home and die—in bed,’ this is an angry satire on conventional military and Home Front values, contrasting a very honest depiction of the anguish of grief with a glib patriotic dismissal. The delivery of the punchline is deadpan, with more than a hint of the gallows humour of the men in the trenches. Sassoon survived the war, dying in 1967 at the age of eighty. From the blind darkness I had heard him crying. ‘Dulce Et Decorum Est Pro Patria Mori’ is a quotation from the Horacian ode III.2 on virtue, in which Horace extols endurance, valour, and patriotism. The ode begins: ‘Angustam amice pauperiem pati robustus acri militia puer’ which translates from the Latin: ‘To suffer hardness with good cheer/In sternest school of warfare bred/Our youth should learn.’ ‘Dulce et decorum est pro patria mori’ means ‘What joy, for fatherland to die!’ This was written on much patriotic bric-a-brac in England during the war. You can see Sassoon’s influence on Owen here: this is another witness’s account of the reality of war (as opposed to the patriotic dream), although Owen’s imagery is more elaborately poetic, at the same time breaking up the classical language with soldier’s slang, such as ‘Five-Nines’ which refers to 5.9 calibre explosive shells. Owen is also haunted by his experiences, referring to ‘all my dreams.’ He too addresses the reader very directly, but not in anger like Sassoon but as ‘My friend.’ His final image is of children, because it is youth that dreams of glory on the field of honour, not old age, and it is youth that dies. He calls Dulce et decorum ‘the old lie’ because this is one war among many – Owen saw the experience as timeless and transcendent, imagining himself to be an insignificant figure in some vast, endless, universal conflict. By ending with a patriotic slogan he completely negates it. I have always felt that there is a parallel to be usefully drawn between Sassoon the prophet and Owen the messiah, with Sassoon as essentially John the Baptist heralding the Christ-like Owen. Like Sassoon, Owen was a homosexual, and he was similarly a recipient of the Military Cross for ‘conspicuous gallantry and devotion to duty.’ He was killed in action on 4 November, 1918, during the crossing of the Sambre–Oise Canal, exactly one week (almost to the hour) before the Armistice was signed. ‘Anthem for Doomed Youth’ was written while Owen was at Craiglockhart, with Sassoon acting as copy-editor. This is the best known of all the poetry of the Great War. It is a very complex poem, using the traditional form of a Petrarchan sonnet but employing the rhyme scheme of an English sonnet. This is a religious piece, a hymn for the dead as there does not seem to be one that can describe the war adequately. The imagery is Christian, while at the same time documenting the poet’s loss of faith, and the sounds of the deadly ordinance and the grief of the bereaved is used to replace the more traditional forms of worship and requiem: church bells, prayers and choirs. The poem opens with the image of the slaughterhouse and closes with the eternity of mourning a lost loved one. This is a beautiful piece of writing, yet not an angry one. Owen seems to have reached a state of acceptance, even forgiveness, in the process of writing. 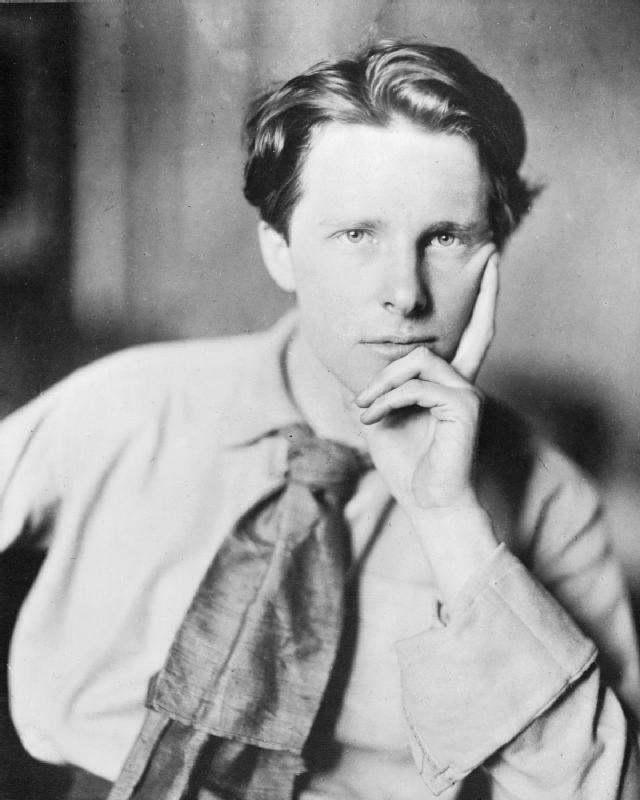 Owen was killed soon after the poem was completed. Even after a century, a soldier’s bones are still turned up every week by French farmers ploughing their fields. In all, 8.5 Million were killed on all sides. 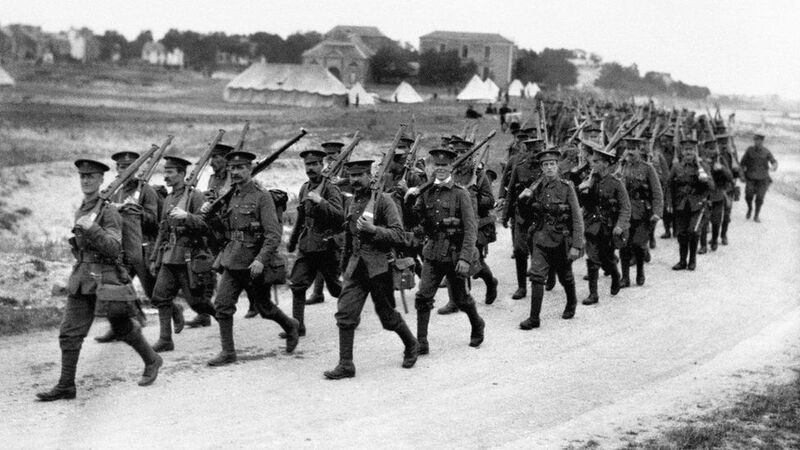 Today we mark the first day of the Battle of the Somme. The casualty figures, just for the first day, are staggering. May we never forget, may this never happen again, and may their souls rest in peace. Vera Brittain, Testament of Youth (UK 1933). Siegfried Sassoon, The Complete Memoirs of George Sherston: Memoirs of a Fox-hunting Man; Memoirs of an Infantry Officer; Sherston’s Progress (UK 1937). Edmund Blunden, Undertones of War (UK 1928). Robert Graves, Goodbye to All That (UK 1929). Erich Maria Remarque, All Quiet on the Western Front (Germany 1929). Pat Barker, The Regeneration Trilogy: Regeneration; The Eye in the Door; The Ghost Road (UK 1995). H.G. Wells, Mr. Britling Sees It Through (UK 1916). Rebecca West, The Return of the Soldier (UK 1918). Sebastian Faulks, Birdsong (UK 1997). Dalton Trumbo, Johnny Got His Gun (US 1970). Ernest Hemingway, A Farewell to Arms (US 1930). Jon Silkin, Editor, The Penguin Book of First World War Poetry (UK 1979). Robert Giddings, The War Poets (UK 1988). Paul Fussell, The Great War and Modern Memory (UK 1975). John Cruikshank, Variations on Catastrophe: Some French responses to the Great War (UK 1982). 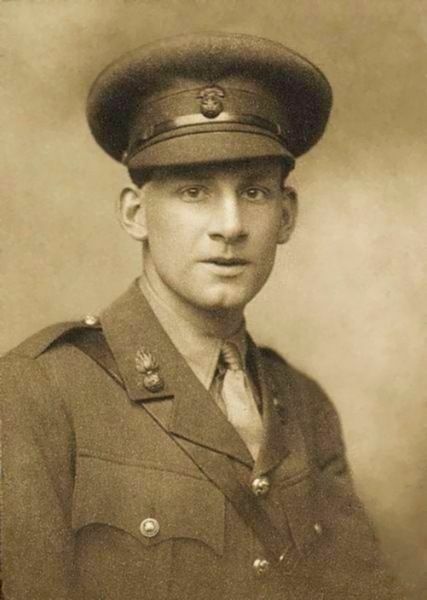 John Stuart Roberts, Siegfried Sassoon (UK 1999). Niall Ferguson, 1914: Why the World Went to War (UK 2005). —, The Pity of War (UK 1998). Max Arthur, Editor, Forgotten Voices of the Great War (UK 2002). Lyn MacDonald, 1915: The Death of Innocence (UK 1980). —, To The Last Man: Spring 1918 (UK 1998). Oh! What A Lovely War (Directed by Richard Attenborough, from the stage play by Charles Chilton, UK 1969). Johnny Got His Gun (Directed by Dalton Trumbo, from his novel, US 1971). Regeneration (Directed by Gillies MacKinnon, from the novel by Pat Barker, UK 1997). Deathwatch (Directed by Michael J. Bassett, UK 2002). The Lost Battalion (Directed by Russell Mulcahy, US 2001). A Farewell to Arms (Directed by Frank Borzage, from Hemingway’s novel, US, 1932). Journey’s End (Directed by James Whale, from the play by R.C. Sherriff, UK/US 1930). All Quiet on the Western Front (Directed by Lewis Milestone, from the novel by Remarque, US 1930). War Horse (Directed by Steven Spielberg, US, 2011).